Reliable knowledge, soft skills, technical competencies, humanistic approach, engagement and professionalism, passion and ambition, individualism and integration. Thanks to these abilities, nothing is impossible for us. We follow our values according to established rules. We value honesty between us and towards our clients, which results in mutual trust. 10 years of our activity have been marked with positive changes. We grow quantitatively and qualitatively. 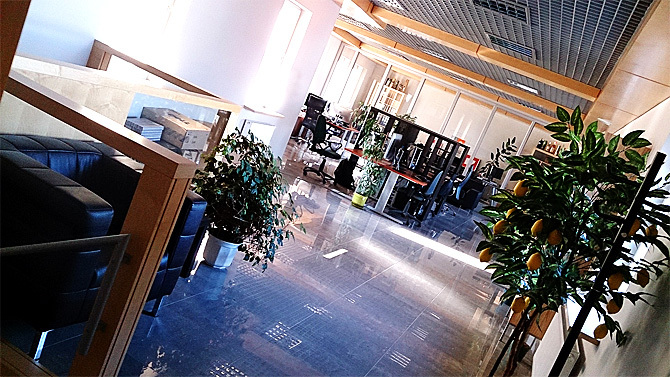 Every next office is a bigger work area – we currently work in the fourth of them. Every year brings new, more demanding clients. Every tender means new ideas, solutions and projects. We fully engage in each of them. We wait for more! A decade of business activity brings priceless experience. Trends change, new technologies supersede old techologies and we always have our finger on the pulse. We always offer our clients the best solutions, which we select according to appropriate standards – we always cater to our clients needs. A satisfied client is the best testimony of a job well done. Our job is rewarded not only with the clients’ satisfaction and contentedness. 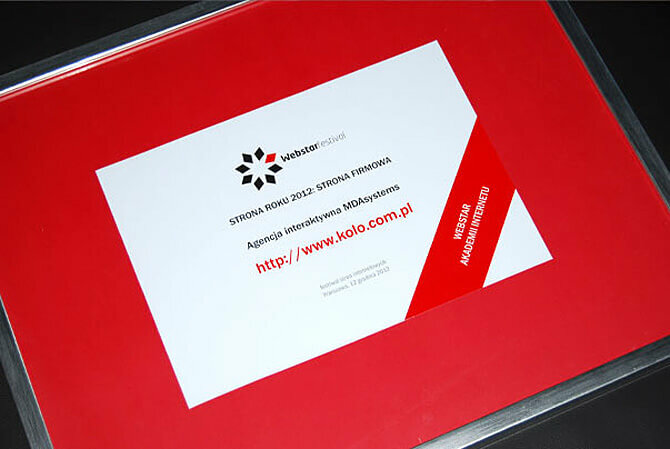 A corporate website www.kolo.com.pl designed by our company, won two statuettes in WebstarFestival contest. 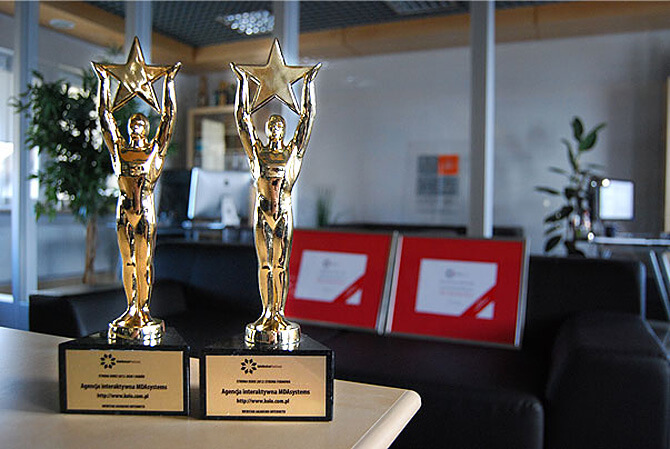 The KOŁO website won THE BEST WEBSITE OF 2012 award in categories HOUSE and GARDEN, and CORPORATE WEBSITE.